-Suitable for dry as well as wet. 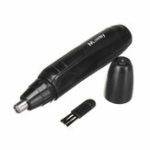 -Removable shaving head for easy cleaning and care. 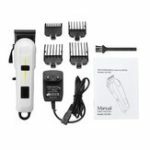 -Precision trimmer for safe, gentle trimming and shaping. 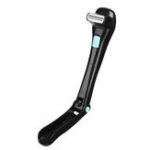 -The lady shaver is perfect for comfortable and quick shaving results. -The hair shaving double ring floating kni-fe net, more close to the hair root,can quickly remove hair, do not hurt the skin.